before we get started we need to back track a bit to understand how Napoleon came into power and set the precedent for other revolutions. I will take a couple days to review basic geography, continents, longitude and latitude..
A summary from Tapestry of Grace for this Era: Our survey of the first 25 years of the nineteenth century begins when Napoleon Bonaparte ended the chaotic years of the French Revolution by taking power and reorganizing the French government. He then more than doubled the size of the United States of America by selling the Louisiana Territory to Thomas Jefferson. The U.S. and Great Britain began to experience the first phases of the Industrial Revolution. 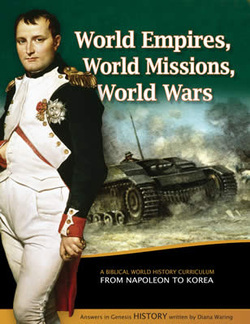 But world events took a downward turn as Napoleon plunged Europe into war in his attempt to build a French empire. America, too, was drawn into the conflict in the War of 1812 with Britain. Meanwhile, the distractions in Europe gave a man named Simón Bolivar the opportunity to win freedom for Spanish colonies in South and Central America. Stability was restored for a time as Napoleon was defeated and an uneasy peace was established at the Congress of Vienna. The Western Hemisphere was given hope by President Monroe's doctrine asserting that their half of the world was to be regarded by Europeans as free and independent. This first week we won't be using our text but instead reviewing the period of turmoil in Europe. Click the link above and complete all three sections. 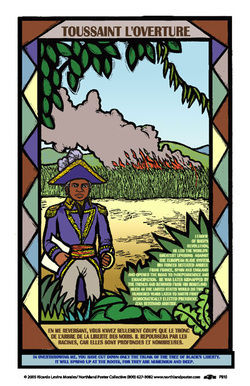 To connect how the French Revolution, Napoleon and the wars in Europe led to a nationalist movement in Haiti and Latin America. *write all responses in your history notebook with unit number and day listed in the upper right corner. What do these verse speak of...how do think these verses will pertain to this period of history? What was so ironic about William Carey's position as an instructor at the University? What was America doing at the time of Napolean's Wars? What are 2 battle locations mentioned? What was the name of the British Naval officer who defeated Napoleon? *this is about 30 minutes of listening feel free to break it up into 2 listening sessions if you find your mind is wandering. 1. Read the Family Tree - how many siblings did Napoleon have? 3. click on the images to learn more about his family. Where did Napoleon study? What country did his sister Josephine get to be queen of? PRINT and fill out this form on Famous People Biographical notebook page. Read the Opinion Column - the first four topics pertain to Napoleon - choose one and provide a written response. L - access Brainpop and watch the video on Napoleon. Use the print quiz and answer the questions. You can watch it twice and work on answering the questions while you watch. if you can't access Brainpop then go to this vocabulary page and listen to the words and definitions. Write down 3 words and their definitions. Be prepared to share the words and their meaning in your own words. 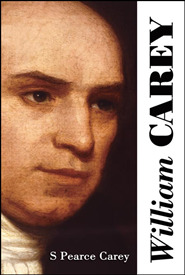 So today, answer this question: Who in the world was William Carey, and why does it matter? What can we learn from his life?<read more from this Sermon @ The Donelson Fellowship church office. William Carey persevered in India for seven years before he saw his first convert. Look up the word “perseverance” in a dictionary or online (Wordsmyth, Dictionary). Add the definition to your notebook as well as other forms of the word. L = Book of Virtues has a chapter on courage and perseverance. Read 2 stories and retell them in your own words. *hint* does this topic interest you? Would this be YOUR topic for presentation? Today you will get the opportunity to explore multimedia resources on Napoleon and/or William Carey. Take some time to think about what you could create that would explain his life accomplishments. The research you do today could save you time in the following weeks. Take good notes! 7 And when you hear of wars and rumors of wars, do not be alarmed. This must take place, but the end is not yet. 8 For nation will rise against nation, and kingdom against kingdom. There will be earthquakes in various places; there will be famines. These are but the beginning of the birth pains. In 1799, during Napoleon’s military campaign in Egypt, a French soldier named Pierre Francois Bouchard (1772-1832) discovered the Rosetta Stone. This artifact provided the key to cracking the code of Egyptian hieroglyphics, a written language that had been dead for almost 2,000 years. Trivia: HOW could ONE STONE do that??? Insightful Article on William Carey Read and record. Why are we discussing India at the same time as the Napolenic Wars? What significance did India hold to Napoleon? To Britain? answer: Napoleon wanted to wipe out the trade route to India for Britain he failed however... " he proposed an invasion of Egypt in an effort to wipe out British trade routes with India. Napoleon’s troops scored a victory against Egypt’s military rulers, the Mamluks, at the Battle of the Pyramids in July 1798; soon, however, his forces were stranded after his naval fleet was nearly decimated by the British at the Battle of the Nile in August 1798. " watching the video you will hear about the variety of religions that dominate India. What three religions were mentioned? What are 3 idols that they worship? Discuss your thoughts about the worship of created animals compared to the worship of the Creator? OH DON'T FEAR - here's the answers!! Complete a copy of your map if you haven't already. * you can view more multimedia links and a nice powerpoint presentation for more information here. Scroll down towards the bottom of the page this is a classroom teacher's site. m = focus on the quote to the right. What do you believe the author wants us to understand and appreciate? This article is an example of persuasive writing. Does he convince of his ideas? Why or why not? Once Haiti won their FREEDOM they marched on to help those colonies in Latin America also win their freedom and independence. Pick a topic to explore more. **This would also good time watch Amazing Grace or another film on topic.